A tip from an “angel” has lead to the safe return of a young dog stolen during a smash-and-grab car robbery in Vancouver. The car was parked in front of Open Door Yoga on Main Street at 15th Avenue briefly on Thursday night when the window was smashed and the small dog, Luc, was taken. The Coton De Tulear had been in his travel bag in the front seat of the car. The dog and his bag were taken, but nothing else was removed from the vehicle. His disappearance sparked a $2,000 “no questions asked” reward, and search parties throughout the city. 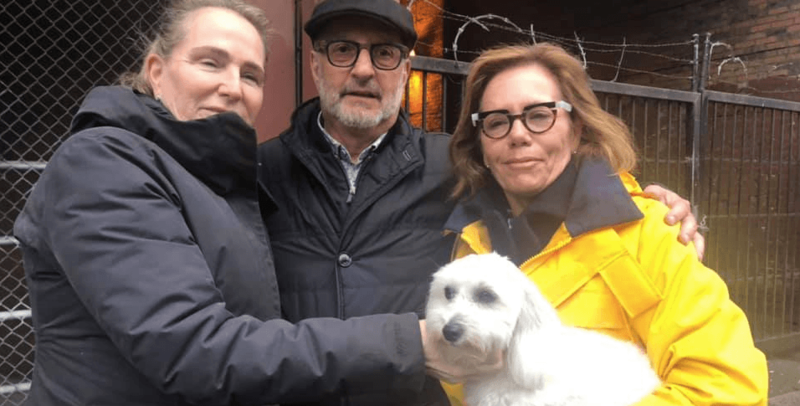 On Sunday morning, Susan Patterson of Thank Dog I Am Out Rescue told Daily Hive that a young girl contacted her rescue and the information she provided led to them finding Luc. The dog was found in a rooming house in the Downtown Eastside. The young woman who contacted the rescue wants to remain anonymous, Patterson said.